In addition, the Credit Board intends to conduct audits for employers nationwide to determine whether the list of their employees (payrolls) there are beneficiaries who have started to recover loans. HESLB Executive Director Mr. Abdul-Razaq Badru said today (Wednesday, January 3, 2018) in Dar es Salaam that the search will be conducted for three months starting next week (Monday, 8 January 2018). Mr. Badru has issued the statement while giving an assessment of the implementation of the responsibilities of the Board of Credit for half of the 2017/2018 fiscal year ended December 31, 2017. In the review, Mr. Badru spoke of the achievements, challenges and plans to improve efficiency in the provision of credit for higher education and collection of loans ripe. Officers of the Board in conjunction with other government entities parked in doing this to add new collections from approximately TZS 13 billion now up to TZS 17 billion in June, 2018. 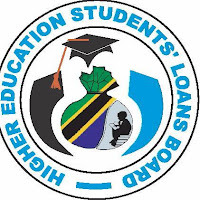 A complete list of employers and beneficiaries of the loans that violate Credit Law Board (SURA 178), keeping or restoring credit deductions for higher education is available on the website of the Board of Credit (www.heslb.go.tz) from today (Wednesday, January 3, 2018). Explaining further, Mr. Badru said although every employer has a legal obligation to submit deductions beneficiaries of loans for higher education to the Board within 15 days after the end of the month, some employers have not been doing it and forcing SLB started to hunt for power. "In this search we will not leave any person or employer who violates the law creating the Board," said Mr. Badru in a press conference to clarify that the legislation establishing the Board of Credit gives them the authority to conduct audits and is a criminal offense for anyone to restrict the inspections. "Already we incorporate our designated arrangement in Mwanza, Arusha, Dodoma and Zanzibar to conducting inspections and searches in their regions and that is by it to make sure this work is done efficiently," said Mr. Badru adding that the inspections will also be held in Dar es Salaam. Speaking about the collection of credit conditions ripe until 31 December 2017 , the Executive Director said volumeTZS 85 billion was collected with the purpose of collections for the entire fiscal year will kaomalizika June 30, 2018 is TZS 130 billion. "In this collection work, for this six months we are identifying new beneficiaries more than 26,000 have begun to pay a total of beneficiaries who paid up to now have more than 121,000 ," said Mr. Badru and thank all employers who fulfill their obligations. About challenging job that meets them in the collection of loans, Mr. Badru said some employers, keeping to the Board of Credit list of employees who are graduates of institutions of higher education as required by law. In addition, another challenge is misrepresenting deductions beneficiaries to the Board at the time. About lending to students in need, the Executive Director said in this academic year, a total of 122,623 have received loans worth TZS 422.45 billion . Among them, students 33244 is the first year that received loans worth TZS 110.37 billion and some 89,379 are those who continue to subjects who have received loans worth TZS 312.16 billion . In the previous academic year (2016/2017), a total of 112,409 were allocated loans worth TZS 409.61 billion. Of these, students 28383were in their first year and some 86,688 were doing.